GB Electrical Installations Ltd - Alarms/Security, Electrician based in Hove, East Sussex. 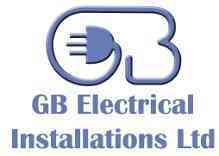 GB Electrical Installations is a well established company in Hove. We pride ourselves on our excellent punctuation and knowledge of all types of electrical installation. We have a very good reputation in schools and commercial businesses around Sussex, along with our large domestic customer base in Brighton and Hove. We offer a friendly, professional service and believe that there is nothing more important than our customers being more than satisfied with our work. All work is completed to the highest standard, and guaranteed and insured.